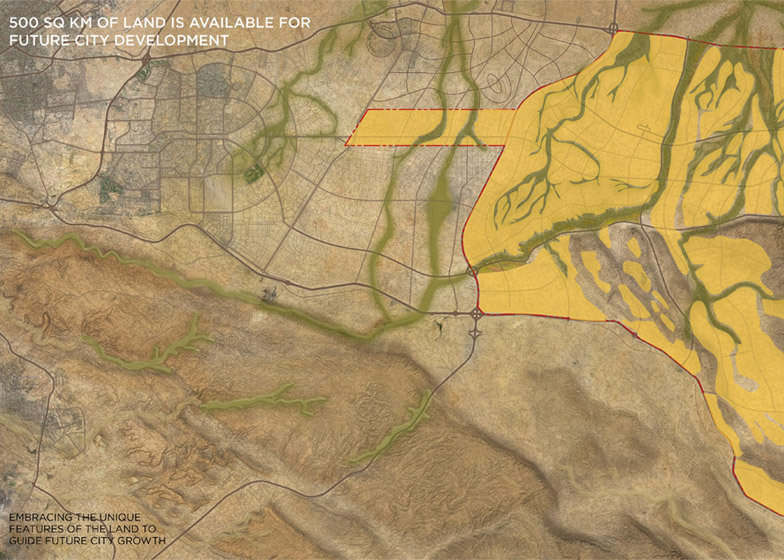 Architecture firm SOM has released its masterplan for a new privately funded capital city for Egypt – a 700-square-kilometre development that will boast one of the world's largest urban parks and over 100 new residential neighbourhoods (+ slideshow). 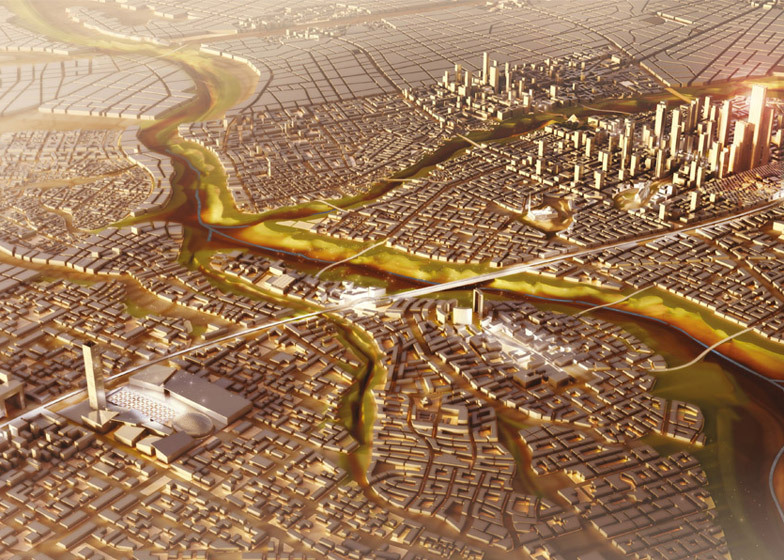 The Capital Cairo project envisions a new administrative and financial capital that would extend Cairo eastwards to the coast of the Red Sea, creating a new urbanised zone for seven million residents. 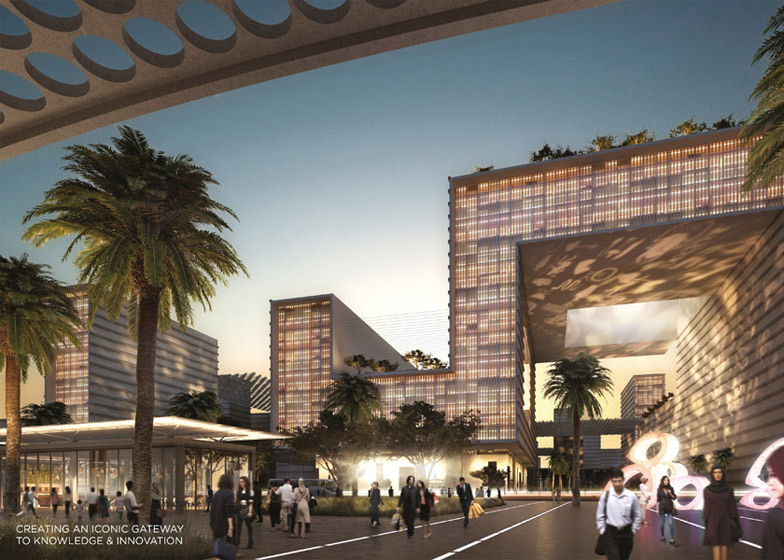 Unveiled last week at the Egyptian Economic Development Conference in Sharm El Sheikh, the project is set to include a central business district and a government administrative district, as well as cultural attractions and a centre for innovation. 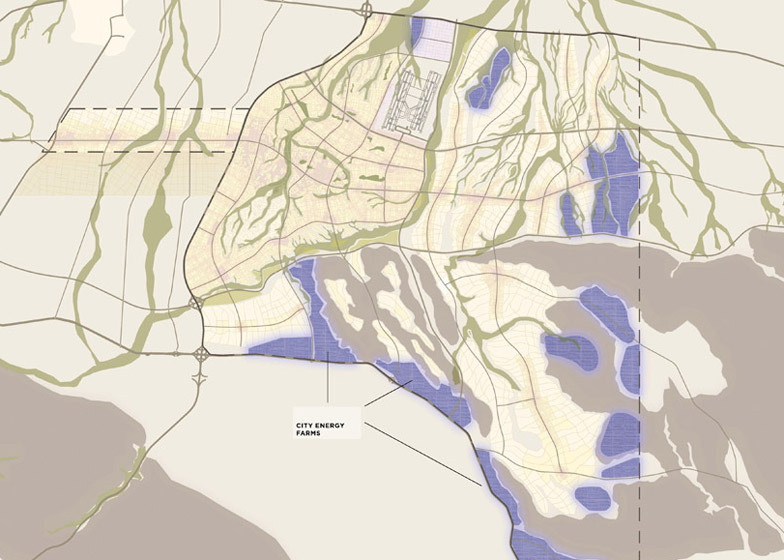 Over 100 residential neighbourhoods will be designed to fit among the natural wadi topography, made up of ravines that fill with water during occasional heavy rainfall. 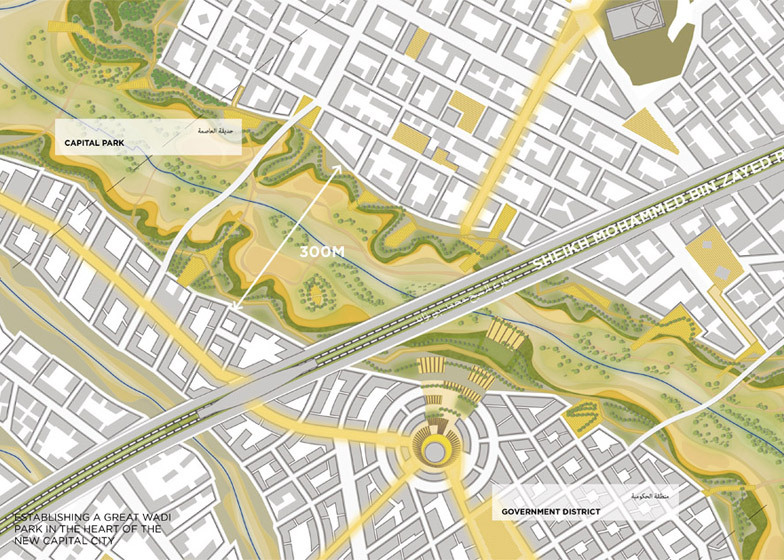 These are set to becomes areas of planting that direct natural breezes through the city. 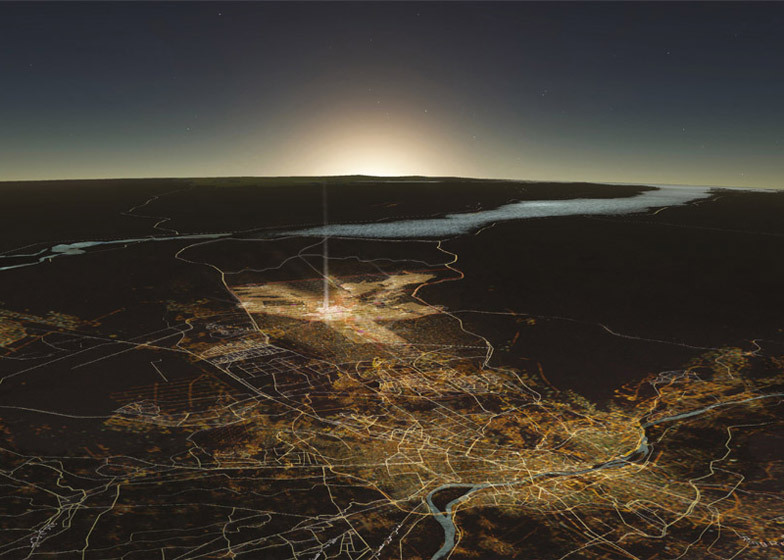 SOM believes this approach will provide a sustainable new city that is suitable for the local environment, but that also supports a burgeoning economy. 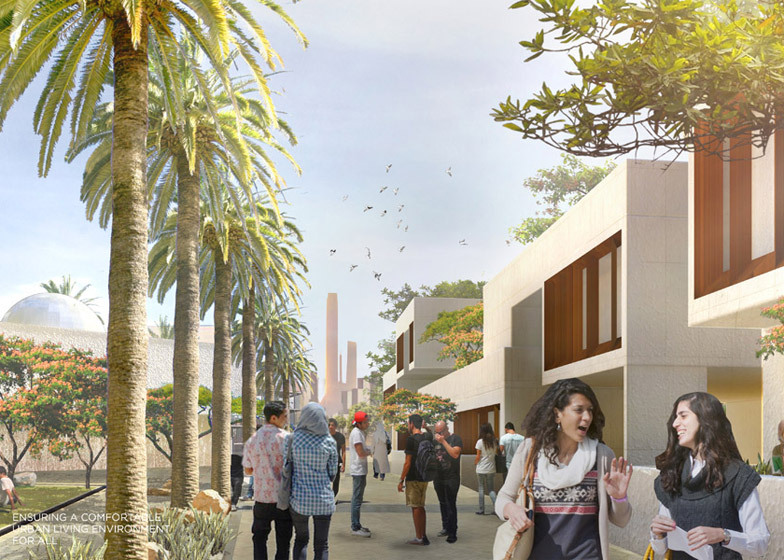 "While we are at the earliest stages of design, the new city will be built on core principles that include places of education, economic opportunity, and quality of life for Egypt's youthful population," said SOM partner Philip Enquist, leader of the firm's urban planning department. "The new city will be designed and built in harmony with nature as a showcase of environmentally sensitive development," he added. 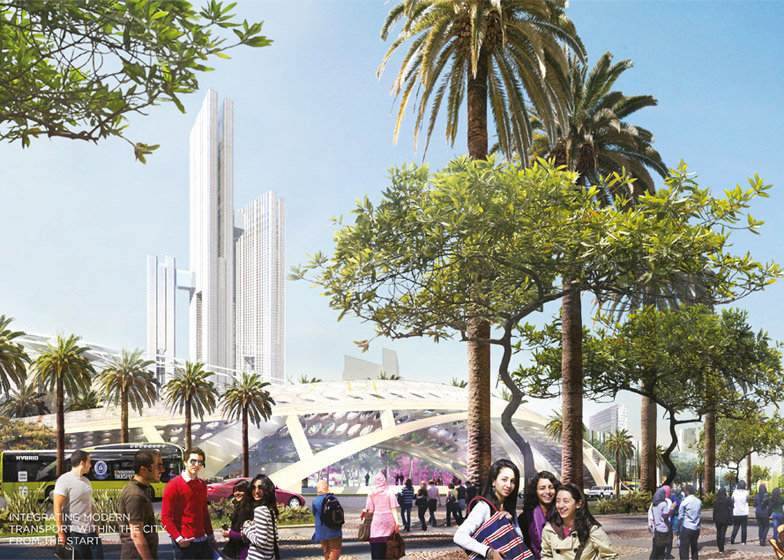 The project was unveiled by Mostafa Madbouly, Egypt's housing minister. It will be developed by Capital City Partners, the private real estate firm led by Dubai businessman Mohamed Alabbar, and will be funded by private investment. 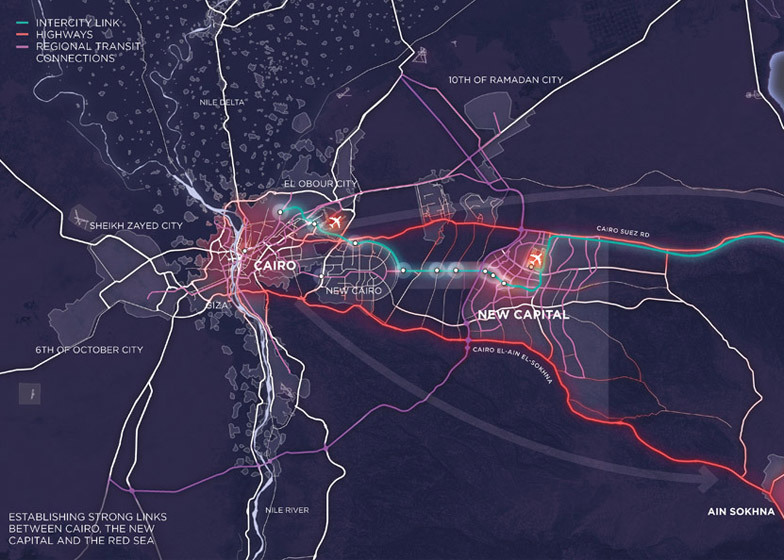 Government buildings and foreign embassies will be relocated from central Cairo to the new development, helping to relieve congestion in the existing capital. The city is currently home to an estimated 18 million people, but that figure is expected to double by 2050. 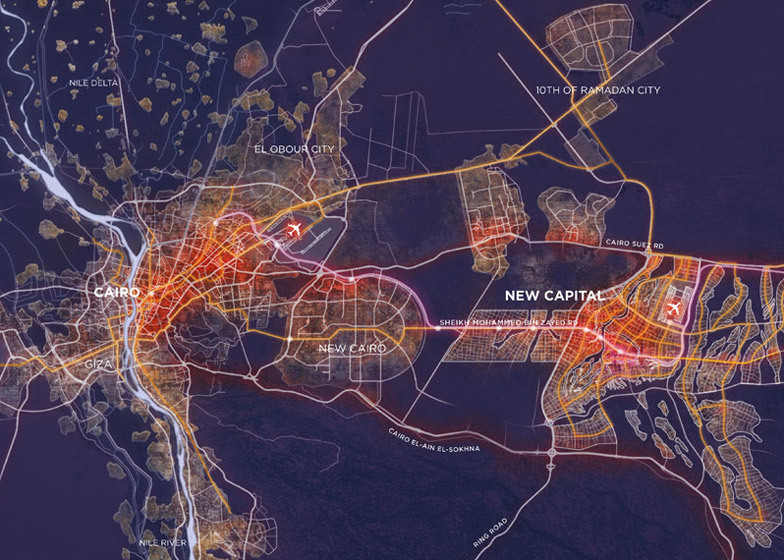 The new city is envisioned to be compact in urban form, but will repeat some of Cairo's existing development patterns. Each neighbourhood will be centred around a public space that SOM plans to surround with local shops, schools, religious buildings and civic amenities. 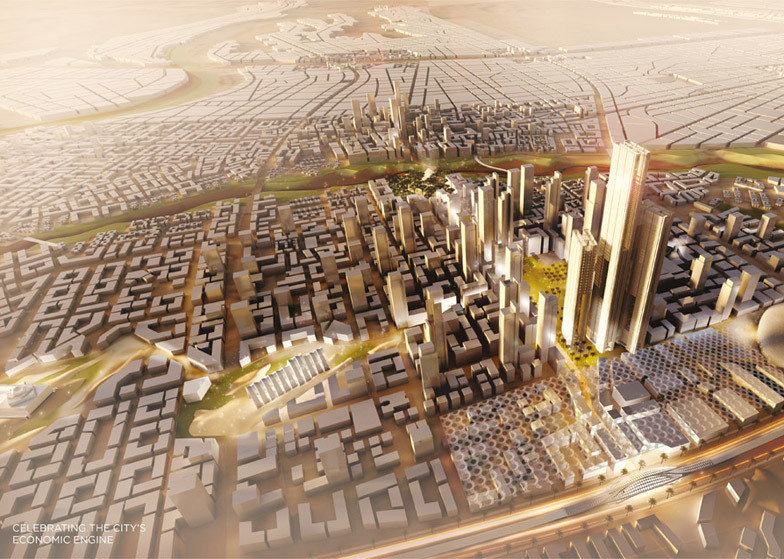 "The Capital Cairo complements the national vision for an Egyptian renaissance," said SOM architect and urban designer Daniel Ringelstein. "This is a rare opportunity for the people of this vibrant nation to express and build their aspirations of a better life for all." "The future city will strengthen and diversify Egypt's economic potential by creating attractive new places to live, work, and welcome the world," he stated. First details of the project emerged the day before the conference, during an interview with Egypt's investment minister Ashraf Salman. He told Emirati newspaper The National: "A signature will take place by the conference, and after that the construction will begin." 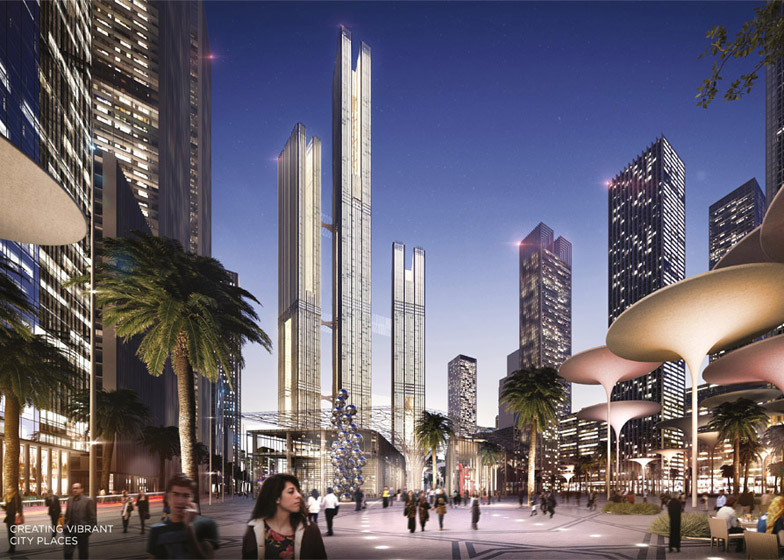 The Egyptian government also presented plans for a 200-metre-high skyscraper modelled on the pyramids at the development conference – held to boost investment in the country's troubled economy. If built, the tower would become Egypt's tallest building, surpassing the 143-metre-high Ministry of Foreign Affairs by over 50 metres.